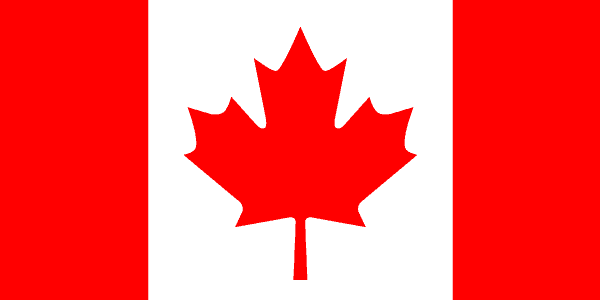 Is online poker in Canada legal? There’s no doubt at all: Yes, it is! Upon contemplating events south of the border, many Canadians have second thoughts about the legalities of internet poker games in their own country. However, the pastime is perfectly legal in the True North, Strong and Free. Wherever you go within the 10 provinces and 3 territories, you can open a few tables and enjoy the best online poker in Canada, served up by trustworthy and honest internet sites. Some operators, perhaps endowed with an overabundance of cautiousness if not sense, have elected to treat the country as a “grey market” and avoid accepting Canada’s residents as players. Ladbrokes and Paddy Power are two of the most prominent gambling firms to have abandoned the Canadian market along with e-wallets Neteller and Skrill. Most other poker rooms have opted to continue serving Canada, and several new payment processors have popped up, so the situation for Canadian online poker games is more or less as good as it has always been. The reason for this skittishness on the part of some companies lies in the fact that there’s no regulatory framework for online poker in Canada. Therefore, those who don’t read the law carefully assume that it must be illegal. But this is backwards. If something’s not explicitly prohibited, then it’s allowed, not the other way around. Another confusing aspect of this situation is that several provinces have launched their own government-approved online card rooms, and in most jurisdictions around the world where governments get into gambling, some operators enjoy privileged status while other organizations are banned. For instance, look at the New Jersey market where a handful of firms acquired licenses and the rest of them are excluded. Things don’t work like this in Canada: All these online groups, whether government-run or private, have an equal chance to compete for customers. With dozens, or perhaps even hundreds, of real money internet poker sites doing business today, it’s pretty hard to narrow the choices down to just a few. Yet this is exactly what we at ProfessionalRakeback have done. We’ve personally evaluated the legal poker sites in Canada across a number of criteria, including size, history in the industry, deposit and withdrawal options, welcome specials and ongoing promos. The poker rooms we present below are among the best of the best no matter how often you intend to play or at what stakes. Bodog, founded by Canadian Calvin Ayre, is a solid place to play poker from Canada. There are only a few sites that comprise the PaiWangLuo Network, on which Bodog is housed, and management has been very careful in selecting the markets they operate in. Canada has met whatever criteria the head honchos use because Bodog extends a warm welcome to its residents. Fortunately, you’ll also find at the tables U.S. citizens with cash to burn, Central and South Americans who are perhaps novices to poker, and Asian gamblers who are renowned as action players. Every first depositor at Bodog can get a 100% match bonus up to $1,000 for poker, and this deal provides an effective rate of return of around 30%. Bodog is the eighth-largest place to play poker online as revealed by traffic volume numbers. Bodog is one of the few sites to have eschewed the traditional poker lobby arrangement, instead handling game filling through a Quick Seat feature, and there are other ways in which the company is different from its competitors. Especially noteworthy is the recreational player model: a philosophy that caters to the everyday player rather than the professional grinder. No players are identified by screen name in the card room, which means that beginners can’t be targeted by seasoned pros. There’s a restriction of no more than four cash game tables open at once, a policy that’s much bemoaned by serious cardsharks who nevertheless often see their profits soar as they contend against novices. After you load the Bodog Poker download onto your machine, you’ll discover No Limit Texas Hold’em cash games from microstakes all the way up to $2,000-buyin tables, and you’ll see even the biggest games fill up during peak hours. There’s also a surprisingly high amount of Fixed Limit Hold’em being played here at stakes of up to $30/$60. PL Omaha Hi and Limit Omaha Hi-Lo can be played for the same stakes as their Hold’em brethren in both big-bet and limit format. Bodog’s version of fast-fold poker is called Zone Poker, and the pools are well-populated up to the $100 level. SNGs can be found from $1.05 up to $214, and there’s rarely more than a few minutes’ wait for one to fill up. Bodog has a solid tournament line-up, including the $162 $100,000 Gtd on Sunday. A few times per year, there are tournament series, the most prominent of which is the Black Diamond Poker Open. The BDPO typically hands out millions of dollars in guaranteed prizes. Jackpot Sit & Go is also present. This is a type of lottery-style game in which the prize pool is decided by a randomly generated multiplier, which can be as high as 1,200 times the buyin. Bodog allows Canadians to fund their accounts with credit cards, Interac e-transfer, and Bitcoin. Of the three, Bitcoin is probably the most convenient. Those who use plastic or online bank transfers to deposit may have to request a check withdrawal to collect their winnings. Although Bodog has quite enviable check processing speeds, Bitcoin is faster still. There’s a $50 fee on check withdrawals beyond the first in a month, but Bitcoin payouts are always free. Bodog Poker download versions are compatible with both Windows and Mac. There’s also a responsive, web-based interface that’s great for smartphone users. Unfortunately, Sit-n-goes and multi-table tournaments aren’t present in the mobile app yet; it has only cash games (including Zone) and Jackpot Sit & Go. As far as non-poker gambling is concerned, you can wager in the attached sportsbook and racebook. Then head over to the casino, and check out the more than 250 games on offer with extra bonus money of up to $600 free ($900 if you use Bitcoin). Your first deposit at Bodog qualifies for a 100% up to $1,000 bonus for the poker room, another $600 for the online casino and $200 for sportsbetting. To take advantage of this deal today, clear your browser’s cookies, and then sign up via our link above. To get more information before taking the plunge, consult our Bodog Poker review. Part of the Chico Poker Network, TigerGaming is open to most countries in the world, including Canada. It’s pretty middle-of-the-road as far as player liquidity goes, but it still has plenty of tables running unless you play only at high stakes. Even then, you may wish to add TigerGaming to your stable of sites because the bigger games, of which there are usually a couple active, are sometimes very soft here. Sweetening the pot is the 100% up to $1,000 welcome bonus, which clears at a 20% cashback rate. In general, the promotions at TigerGaming are a cut above most competitors. There are weekly leaderboards for ring games and SNGs, and you don’t necessarily have to play full-time to place on them. Reload bonuses are pretty common, and comp points provide a way to get extra value when you don’t have a bonus active. The stakes start at $0.05/$0.10 for NL Texas Hold’em, PLO, and PLO Hi-Lo, and they top out at $5/$10 in four-card poker and $10/$20 in NLHE. Rather than spreading a bunch of nosebleed tables that will remain empty 99% of the time, the Chico Poker Network has elected to focus on blind levels that people are actually interested in playing. This strategy seems to be working because you’ll usually see a game or two at even the higher end of the scale for all three of these varieties of the game. TigerGaming Poker also spreads fast-fold poker, which it calls Boost, at $0.05/$0.10 and $0.10/$0.25 levels. Sit-n-go excitement can be had for as little as $1.50 or as much as $215, and again, even the most expensive events run pretty regularly. Windfall Poker lottery SNGs are present at buyins of $3, $7, $15, $30. With any luck, you'll activate the top multiplier and split up a prize pool worth 2,000 buyins! On the MTT front, the most notable tourney is the $50,000 GT Main Event, which costs $99 to enter and takes place every Sunday. On the last Sunday of each month, this is replaced with a $100,000 guarantee and a buyin of $109. The folks over at TigerGaming feature plenty of payment processors in their cashier. Credit cards, iDebit, EntroPay, EcoPayz, Instadebit, Usemyfunds, wire transfer, and Bitcoin are just some of the methods available for Canadians to put real money into their accounts. EcoPayz and its associated ecoCard are probably the best option. When it’s time to withdraw your funds, you can have them sent back to your ecoCard and then redirect them from there. EcoPayz also qualifies for Tiger’s 24-hour payout guarantee. Subject to certain reasonable limitations, your cashout will be paid within 24 hours, and if not, you’ll be paid double! With Mac and Windows applications available for download, TigerGaming poker can be appreciated by the overwhelming majority of the desktop market. There’s also a mobile client that works with iOS and Android machines as well as a Flash client that almost anyone who has access to a web browser can log into. TigerGaming is an excellent destination for betting on sports, racetrack wagering, partaking in online casino games – including live dealer action – making financial predictions and other forms of online gambling. For most of these products, you can claim additional bonuses, free bets and other rewards. To get started with your TigerGaming adventure and score your 100% up to $1,000 bonus, first erase your browser cookies. Then follow the banner above and register your new account today. Remember to contact support with bonus code NEWTG to qualify for your bonus after making your deposit. Or, if you’d prefer, you can read our TigerGaming review to learn more about the advantages of this site for online poker in Canada. The Winning Poker Network consists of many sites, the most prominent of which are Americas Cardroom, BlackChip Poker, True Poker, PokerHost, and Ya Poker. These are all fine places for playing cards, and they all combine their user bases to create bustling cash game lobbies and large tourney prize pools. Each of these rooms will grant you a 100% up to $1,000 bonus, but we have a slight preference for Americas Cardroom, which will give you the bonus as well as $50 in free cash credits. Don’t worry; despite its name, ACR is Canadian-friendly and indeed accepts players from the vast majority of countries around the world. The WPN has made a name for itself in some circles by developing and deploying non-standard types of Sit-and-gos and MTTs. SNG 2.0 is a nine-player innovation that allows participants to see increases in the prize pool and number of players paid if they’re lucky enough to reveal certain combinations of cards in a special pre-game round. The Cage is a unique format of timed tournament that incorporates aspects of cash games. Once every couple of months, there’s a Million Dollar Sunday, which, as its name implies, guarantees $1M in prizes. There are tournament series several times a year at WPN, including the popular Online Super Series. When none of these occasions is scheduled to occur, the weekly headline event is the $215 Sunday Special. It comes with a guarantee of $150,000. In addition to SNG 2.0 (described above), there are normal sit-n-gos that require you to pay between $1.61 and $1,215 to enter. Most of the action is concentrated at $60 and lower though. Winning Poker Network has its own type of lottery SNGs, called Jackpot Poker, in which the prize pool is determined by a random multiplier chosen at the start of the game. Multi-table SNGs are replaced by On Demand tournaments, which fire off like normal once the required number of participants have joined, but they feature a late registration period, allowing additional contestants to enter. Cash game tables can be found in NLHE from $0.01/$0.02 all the way up to $50/$100 with the bulk of the traffic at levels below $2/$4 but with the occasional higher game running as well. PLO is spread at the same stakes as Texas Hold’em poker, and much as with its fellow flop game, high rollers sometimes get action even at the maximum stakes available. Anyone looking to play Omaha Hi above $0.50/$1.00 will have to mix stakes if they seek to multitable however. There are usually a dozen or fewer tables active in the online poker room of the less popular games: PLO-8, LO8, Seven Card Stud-8, and Seven Card Stud Hi. When you feel like putting money into your account, you’ll be able to do so via credit card, money transfer service, Bitcoin, Ethereum, and dozens of other crypto coins. In terms of getting your money where you want it to go in a hassle-free manner, both when depositing and withdrawing, Bitcoin is the way to go. It will save you from the large, upfront expense of requesting a cashout by money transfer and the delays sometimes associated with waiting for a check to arrive. The only computing interface that can be reliably used at the Winning Poker Network sites is Windows PC. There is a beta Mac client available from Americas Cardroom, but there’s no telling when it will move out of beta or spread to the other network skins. ACR has developed a mobile client too that's compatible with Android and Mac OS, but the only games currently supported are Jackpot Poker and SNG 2.0. There’s a respectable sportsbook attached to Americas Cardroom and a somewhat anaemic internet casino, but there are no extra bonuses offered for them. The $1,000 poker bonus is equal to 20% rakeback, but you can increase this number by obtaining 27% rakeback for the life of your account through us. Higher-volume players might do better by avoiding rakeback and instead opting to be rewarded through the VIP program, called Elite Benefits at Americas Cardroom. This plan gives you incentives for regular poker play month after month that, in some cases, can reach as high as 60% rakeback equivalent. Regardless of which of these two alternatives you pick, you’ll be eligible for weekly rake races for your cash game and SNG play. Redeposit bonuses are another way that the network gives back to its loyal customers. Sportsbetting.ag is a site on the same Chico Poker Network as TigerGaming, which we have discussed above. Like its partner organization, SB.ag provides newcomers with a 100% up to $1,000 poker bonus that releases at a rate equal to 20% rakeback. The poker section at Sportsbetting Poker is identical to that at TigerGaming, so there's pretty much no difference between the two operators when it comes to playing cards. Cash games, SNGs, fast-fold Boost Poker, Windfall tournaments, and multi-table tourneys are all the same between the two sites. Sportsbetting.ag may be the better choice if you enjoy other gaming besides poker. There's a sportsbook, racebook, financial betting division, and casino in addition to the poker room. All of these same betting products exist at TigerGaming also, but there are more promos for these gambling choices at SB.ag. If you like to bet on sports, then a 50% up to $1,000 bonus beckons. You'll get $25 free bets for player props and In Play betting along with a $50 mobile free bet. Unlimited sports reloads of 25% up to $1,000 are yours for the asking. In the racebook, you'll be rewarded with a 7% rebate on your handle although certain types of wagers are excluded. To welcome you to betting on the horses, Sportsbetting.ag gives you a $25 free wager. Casino promos include a 100% up to $1,000 bonus that you can use three times together with a variety of time-sensitive reload specials, a Live Dealer free bet, and a monthly lossback rebate. A variety of leaderboards, tournaments, and drawings represent weekly value for the serious player. Of course, you'll be handsomely rewarded for your poker play too. Besides the initial deposit bonus of up to $1,000, you can participate in the comp points program, compete for your share of $20,000 in weekly leaderboard prizes, and try for a jackpot in lottery-style Windfall Poker. As an all-in-one gambling destination, it's tough to beat Sportsbetting.ag, so sign up now by clicking through the banner above. We've prepared a thorough Sportsbetting.ag poker review to give you more insight into this awesome poker destination. The Horizon Poker Network is anchored by Intertops, a trusted name in gaming for more than 30 years. It grants new poker players a 200% up to $1,000 poker bonus along with 100 free bets in the attached casino. The poker bonus is worth different amounts depending on the particular types of poker you play, but it can be equal to up to 27% RB. In addition, you'll collect 36% rakeback for life standard when you register your account through our links. The 100 free casino lines are denominated at $1 apiece, and as long as you choose a casino game with a relatively low house edge, like blackjack, they have an expected value well north of $90. Traffic is a bit lacking at Intertops especially at the higher stakes. Most games you encounter will be at 50nl and lower. Most of the action is in NL Texas Hold'em although you'll likely see a smattering of PL Omaha and PL Omaha/8 tables. There are usually no more than a couple of small-buyin SNGs running at a time, but the multi-table lobby is more active. Dozens of tourneys fire off each day, and many of them come with guaranteed prize pools. The most prominent weekly MTT is the Sunday Sundowner, which costs $20 + $2 to join and pays out no less than $4,500 to the winners. Overlays are common. Besides the regular Windows download program, Intertops also hosts an Instant Play client on its website. It isn't really a polished software solution, but it does permit Mac and mobile users to play poker from their preferred platforms. In addition to poker, there are three separate casinos and a top-rated sportsbook for you to check out. Intertops has come up with a diverse menu of promotions to cater to long-term clients. There's a $4,000 rake race every week, and because it pays 100 winners, you don't have to grind all day long to score a prize. Redeposit bonus codes – emailed to customers about every month or two – let you recapture the same remunerative payouts as the first deposit bonus. A loyalty levels program adds free cash to your account as you pass certain point thresholds, and you'll collect gold chips while you play, which can be turned in for no deposit bonuses. To get started today at Intertops Poker, click on the banner above. For more info on this company first, head over to our Intertops Poker rakeback review. Nitrogen Sports Poker is a little bit different from the other sites on our list. While they all accept bitcoins – among other currencies – for deposits, Nitrogen is the only one that deals exclusively in BTC for both cashier functions and gameplay. Thus, Nitrogen Poker is the place to be if you're eager to play with digital coins and avoid fiat currencies. One chip here is equal to 1/1,000 of a bitcoin, and you'll see cash games listed from 0.01/0.02 (about $0.10/$0.20 at current rates) up through tables that cost several bitcoins to join (tens of thousands of dollars). Most of the player population in concentrated in the lower stakes although games do sometimes run surprisingly high. The main ring game is NLHE, but there's some PLO going at most times of day too. The occasional LHE table starts up every once in a while also. The tournament schedule consists of around a dozen events every day with most buyins costing less than 1 chip and at least one freeroll per day awarding tourney tickets. The major guarantees here are the Nitro Saturday Special and Nitro Sunday Special, which require a payment of 4.5 + 0.5 chips to enter and guarantee 100 chips. The software in use at Nitrogen is purely web-based: There's nothing to download. This means it will run on almost any modern hardware, including PCs, Macs, smartphones, and tablets. The same is true of the low-vig Nitrogen sportsbook and the small casino section. Rewards come through the Nitro Rewards program. As you contribute rake and fees in the games, you'll collect Nitro points that will establish your monthly rank in the system. The higher your tier, the faster you earn Nitro, which can be exchanged for free bets and Bitcoin credits. The most dedicated poker enthusiasts can see returns approaching 100% rakeback. You can begin playing at Nitrogen Sports Poker immediately by clicking on the above banner. If you'd prefer to learn more about it first, check out our Nitrogen Poker review page. Party Poker was once the most popular of its ilk on the internet. Despite the fact that it has dipped down a few notches in the size rankings, it’s still in the top 10 and going strong in 2017. Party was a forerunner in the gamification of the industry with the inclusion of missions and achievements for players to unlock. This has kept the population at the site soft although some savvy, experienced players don’t like the novice-centered approach that Party Gaming is taking. When you first make a deposit of $10 or more, you’ll get $20 free – $10 in cash buyins and $10 in tournament entries – to try out the games. You only need to rake $10 to withdraw your cash winnings, and the tournament tokens don’t have any playthrough requirements associated with them at all! The bonus is thus equivalent to 200% rakeback, which compensates pretty well for its small size. Going forward, you’ll get mission rewards, like bonuses and tournament tickets, for completing small tasks, and there’s a loyalty points program and store so that you can choose your own prizes. You’ll be able to play NL Texas Hold’em at stakes from $0.01/$0.02 - $50/$100, but there are few games running higher than $1/$2. Casual cash games, of which only a single one can be played at a time, and anonymized heads-up tables are two ways that Party keeps NLHE appealing to newbies. You don’t need to participate in these innovations if you don’t want to; there are other poker games listed that follow the standard, everyday formula instead. Fixed Limit Hold’em goes up to $30/$60, but action above $1/$2 is sporadic. Pot Limit Omaha games, both hi-only and split-pot, run frequently from $0.01/$0.02 through $0.50/$1.00, and even the highest level, $10/$25, is sometimes active. Seven card stud rounds out the ring games here, but traffic is pretty light. Fast-fold poker at Party is called fastforward, and it’s spread for NLHE up to $2/$5 and PLO up to $1/$2. Sit and gos can be bought into for as little as $0.11 or as much as $1,050. The $55 level and below is where most of the games actually run. The Sit & Go Hero lottery-style SNG is a bit different from most. It’s four-handed instead of three and one player is randomly chosen to have a bounty on his head. If a single table just doesn’t do it for you, then check out the multi-table tourneys instead. The weekly major is the Sunday Title Fight, which costs $215 and guarantees $300,000. Through what it dubs “The Power Series,” Party guarantees millions of dollars each month in its tourneys. Every once in a while, Party boosts the guarantees for a couple of weeks and creates a Powerfest series with leaderboard prizes and separate main events for several tiers of buyins. Party Poker caters to Canadian poker lovers by accepting their deposits via Visa, MasterCard, EntroPay, Paysafecard, electronic bank transfer and a few other methods. You cannot withdraw back to a MasterCard later on, so we believe that it’s best to employ one of the other payment options instead. As long as you have a computer with Windows XP or later or an Apple Mac, you can run the Party Poker download installer. There are also downloadable apps for iOS and Android tablets and smartphones. If you wish to eventually explore the other types of gambling offered, then head over to the casino, where there are recurring bonus offers, or back your favourite team in the sportsbook. Go to our review of Party Poker to get more details on this iconic online poker site, or click the banner link above to sign right up today. PokerStars is, hands-down, the largest internet poker room currently in existence. It has become esteemed in the player community for its stable, feature-rich software, plethora of game types, and Team PokerStars: a collection of notable poker pros whom the room sponsors for various poker-related live events. Something that you won’t find at most competing establishments is Home Games. These allow you to set up exclusive clubs with your friends for social poker tournaments and cash games at whatever stakes are appropriate for your group. After joining the site, you’ll have a choice between two welcome bonuses. You can deposit $20 or more to get $30 in free SNG and cash game tickets over a six-day period. Alternately, you can fund your account with up to $600 over the course of three separate deposits to claim a 100% match that works out to 27% rakeback or more. Stars hosts the largest Sunday major tournament around: the $215 Sunday Million, which pays out at least $1 million each and every week. Indeed, many MTT fans appreciate the entire Sunday line-up and devote their weekend energies to partaking in the Sunday Million, the $215 Sunday Warm-up ($350K Gtd), the $11 Sunday Storm ($275K Gtd), and some of the other selections in the robust tourney schedule. PokerStars runs the WCOOP and SCOOP once a year each. These are the most prestigious internet poker events in the world, and both series awarded more than $70 million apiece in their most recent instalments. Sit-n-go games in NL Texas Hold’em poker span the gamut from $0.02, 990-player, hyper shovefests up to $5,000 six-max turbo and heads-up contests. The range of buyins is more restricted in PLO and other games, but a few SNGs are offered even in the more obscure poker variants, like 2-7 Triple Draw. Spin & Go is the lottery-inspired sit-and-go offering from PS, and it was, in fact, the originator of this style of SNG. With cash tables in Hold’em from $0.01/$0.02 up to $200/$400 and regular action up through $25/$50, PokerStars has whatever stakes you could hope to play. It’s a sensible place to go if you’re a fan of PLO and LHE as well because you’ll find populated games at levels both higher and lower than you might encounter elsewhere. Stud games, mixed games, draw games and more await your participation, and they actually run pretty regularly. Zoom Poker, a fast-fold game, is offered at up to $50/$100 for No Limit Hold’em and Pot Limit Omaha, and there’s a smaller set of Zoom levels present for more niche games. Canadian poker aficionados can fund their accounts and request their winnings via four processors, Instant e checks, Instadebit, Visa, and Entropay, although there are additional choices that can only be used for either deposits or withdrawals but not both. We feel that Entropay and Visa are the winning solutions for most individuals in Canada. Windows, Mac OS, iOS, and Android are the operating systems for which Stars has released downloadable poker software. Click the link above to go directly to PokerStars. Or browse over to our PokerStars review to find out more about the $30 free or 100% bonus up to $600 deals. Bodog is the place to go if you like the idea of remaining anonymous as you play poker. TigerGaming should satisfy you if you’re looking for fast payouts and a 24-hour cashout guarantee. Intertops probably has the greatest percentage payback to most customers in the form of bonuses, rewards, races, etc. Americas Cardroom and the other WPN sites cater to high-volume players through the Elite Benefits rewards program. Party fits the bill if you only have a little bit of money to deposit and wish to get a small bonus with easy conditions. PokerStars should appeal to you if you want the greatest possible selection of tables or you play another type of poker besides Hold’em and Omaha. Nitrogen is where you should go if you intend to play poker with bitcoins. When it comes to online poker in Canada, there’s no single best room for everyone. If you still can’t decide on one, well, why not sign up for multiple online poker sites? Later on, you might be able to narrow it down to a favoured provider, and at that point, you can remove your funds from the other room if necessary. What About Provincially Run Poker Sites? British Colombia and Manitoba operate an online gambling site called PlayNow, and Quebec does the same with its effort, called Espace Juex. They provide poker access over the net and shared player liquidity across the three sites. Meanwhile, Ontario is planning to roll poker out on its PlayOLG site. The provinces with existing government-run virtual poker haven’t exactly set a new standard for the industry to emulate. Players complain about a lack of running games, software glitches, and poor rewards schemes. A close look at the lobbies and tables reveals that these card rooms are using the old software from the now-defunct Boss Media Network, which was notorious for its flaws and mediocrity even a decade ago. Why any sites should still be using this archaic software in 2017 is beyond us. For the majority of Canadian players, these small, creaky sites perhaps serve a function as secondary or tertiary poker destinations. They do have fishy games and the occasional lucrative promotion or two. For your daily play, though, you deserve better than to put up with the irritations and hassles of these uninspired offerings. Play at one of our recommended sites instead. 201 (1) Every one who keeps a common gaming house or common betting house is guilty of an indictable offence and liable to imprisonment for a term not exceeding two years. (2) Every one who (a) is found, without lawful excuse, in a common gaming house or common betting house, or (b) as owner, landlord, lessor, tenant, occupier or agent, knowingly permits a place to be let or used for the purposes of a common gaming house or common betting house, is guilty of an offence punishable on summary conviction. So it’s prohibited to run a “common gambling house” or “common betting house,” to allow one’s property to be used as such, or to be present in one “without lawful excuse.” This raises the question as to what exactly counts as a “common gambling house or common betting house.” In adjacent parts of the Code, we find out that basically these establishments are those that encourage members of the public to place wagers either amongst themselves or with the “keeper,” i.e., manager or owner, of the place especially if there’s a fee or cut taken out of the wagers. It’s important to realize that this refers to organizations that serve basically anybody who walks through their doors, not individuals who privately gamble on their own. So ordinary players are totally safe unless they make the astonishingly reckless decision to start a business that encourages others to make bets over the internet while on the premises. The owners of offshore online gambling enterprises are in the clear too because the regulations apply only to physical locations inside Canada that offer betting. The only sticking point for you, as an individual, lies in the underage gambling rules. Make sure that you’re above the legal age for real-money gambling before playing Hold’em poker online or engaging in any other form of gambling for that matter. If you’re below the appropriate age, then you’d be breaking the law. You have to be at least 19 throughout Canada to risk your cash at the virtual tables except in Manitoba and Alberta where 18-year-olds are permitted to gamble. …no fee is charged to persons for the right or privilege of participating in the games played therein other than under the authority of and in accordance with the terms of a licence issued by the Attorney General of the province in which the place is situated or by such other person or authority in the province as may be specified by the Attorney General thereof. We see that proper licencing removes the illegality from owning or operating a common betting or gaming house. Again, this applies only to persons actually running an offline facility for accepting and paying out bets within the Canadian borders. It does not apply to people or groups outside the country who conduct their activities through the internet. One of the issues you might be wondering about is your tax liability as a poker player in Canada. The tax rules surrounding gambling profit are explained on the Canadian government's website although some of the details are quite intricate as you might expect of any government tax code. The short answer is that you don’t have to worry: Winnings from online poker in Canada are completely tax-free for almost everyone! This is not just true of profits you derive from poker actually. There are no taxes on casino slot payouts, winning sports betslips, big racetrack scores, lotto jackpots, bingo paydays, or any other types of gambling success. The only exception is if you’re engaged in gambling as a business. Even if you're a professional player, however, court rulings have set the bar very high as to what constitutes playing poker as a business venture. In the case of Radonjic v. Canada Revenue Agency, a Coquitlam, B.C., poker player sought to overturn a CRA decision that he was not entitled to a refund of the taxes he paid on his poker winnings over a period of several years. The court sided with Mr. Radonjic, finding that he didn't owe any income tax on his poker earnings and ordering that the money he paid in taxes be restored to him.. This taxation environment makes Canada one of the most favourable jurisdictions for poker players, miles ahead of the States where poker winnings are taxed just like any other income. For more information, you can consult a CPA or tax lawyer. There’s no reason for you to avoid online poker in Canada. The legal climate is very permissive, and the tax consequences of winning a bundle are practically nonexistent. Because you have many sites clamouring for your attention, you can be choosy and pick your destination for poker games from the cream of the crop. Find a reliable poker room from among our legal poker sites in Canada, make your first deposit, and begin playing for real money today.